The APEKL is the parent-teacher association of the French School Henri Fauconnier of Kuala Lumpur, it is a place of exchange and support for all families. Within the LFKL, the association represents the parents at the Primary School Council, the School Committee and various committees of the LFKL. It also helps the school during the organizations of events and festivities (carnival) and supports students’ projects actively during the year. The AFM is a non-profit, apolitical, non-denominational association. It is animated by a team of dynamic volunteers and is open to all Francophones and Francophiles living in Malaysia. It is a welcoming network that helps Francophones during their arrival in Malaysia and facilitate their installation. 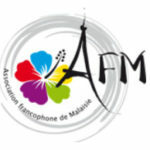 The AFM also organizes a variety of activities and events for the French speaking community (cafés, cultural visits and conferences, sports activities, evenings and trips). The AFM offers a great exposure to Malaysian culture and supports charitable activities.